It's not magic. You'll just think it is. California’s Central Valley contains the most productive agricultural land in the world. Its combination of good soil, mild climate, available water, and – most importantly – highly skilled, experienced and innovative farmers and ranchers has made the region America’s breadbasket – and the envy of the world. 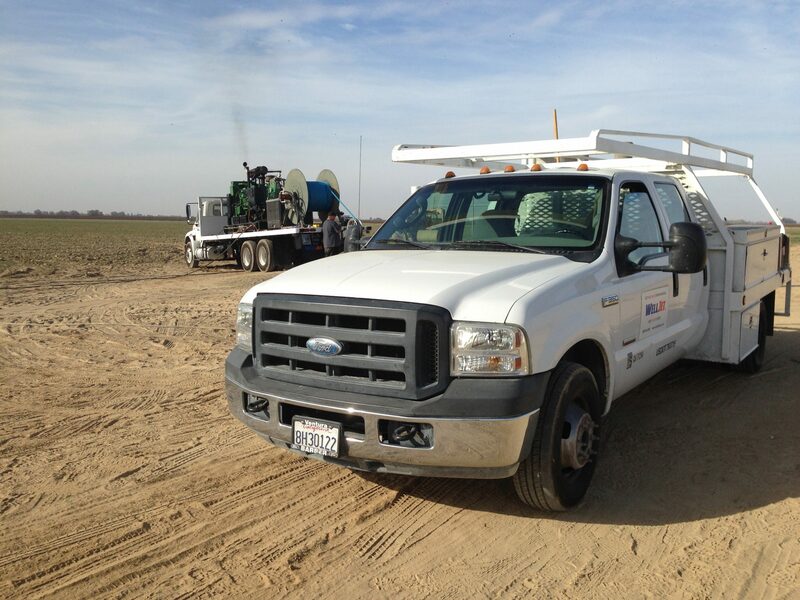 Bob Giacomazzi & Sons have been farming in the Central Valley for many years. They have survived – and thrived – through the inherent challenges in working the land in good times and in bad. An epic drought has held the Southwest in its suffocating grasp for the past three years. Valley farmers have been forced to be more creative than ever in growing the crops that feed the nation. 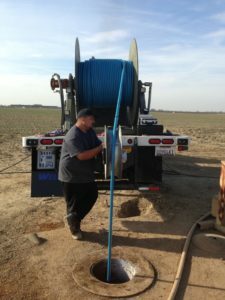 Conservation, advanced irrigation techniques, and efficient use of groundwater have been key. 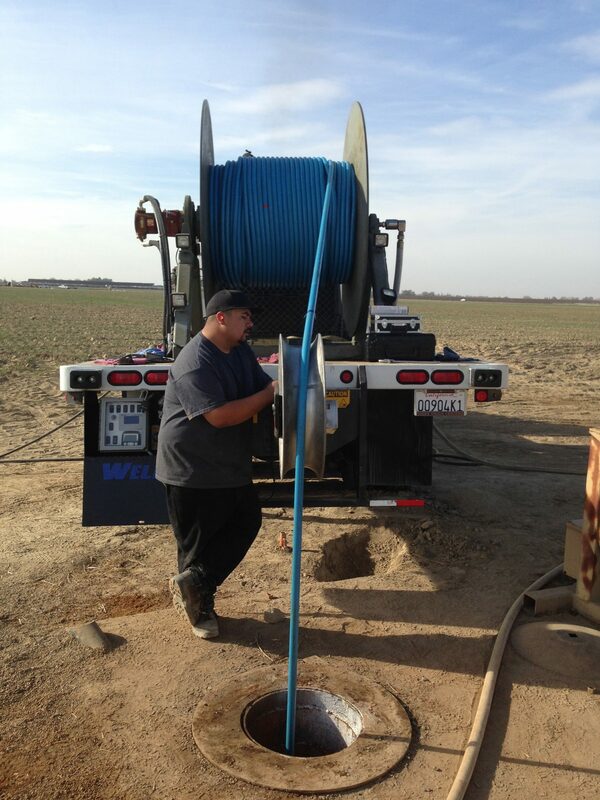 Glen Myers of Myers Brothers Drilling installed the 4th Avenue Well for Giacomazzi & Sons in 2000. Glen’s vast knowledge and decades of experience in the area told him that 600′ would be the appropriate depth, using 18″ diameter mild steel, with perforations from 300 to 600 feet. The well was highly productive for the first several years, and then fell off. The problem was calcium carbonate deposits – common throughout the area. 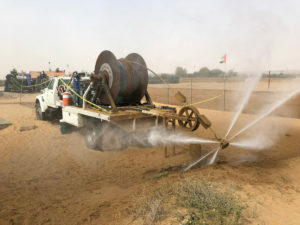 Efforts to rehabilitate the well by brushing and airlifting succeeded in cleaning the inside of the casing and perforated area, but did not improve performance. By the winter of 2013-2014, the well had plummeted from its desired flow rate of 2,000 fpm all the way down to breaking suction at 400 gpm. 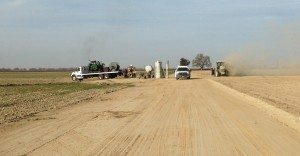 Bill Giacomazzi knew he needed water, and Myers Brothers – like so many other drilling companies – was simply too swamped with existing projects to drill him a new one before irrigation season. 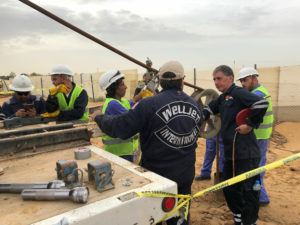 The decision was made to bring in WellJet, to try to reach beyond the well casing, into the gravel pack where hard deposits were suspected of impeding water flow. Glen Myers was skeptical about whether or not WellJet would be able to penetrate effectively into the gravel pack. “I need the water,” Bill Giacomazzi told him, “I’m rolling the dice. WellJet worked the entire perforated area from bottom to top, utilizing 16,000 psi and a retrieval rate of 1.0-1.2′ per minute. 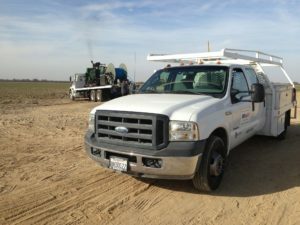 Kaweah Pump followed WellJet with a thorough program of dual-swab surge-blocking, to pull the deposits dislodged by jetting from the gravel pack and into the bottom of the well. Kaweah then removed the fill – 100 feet of sand and residual drill mud – via airlifting. 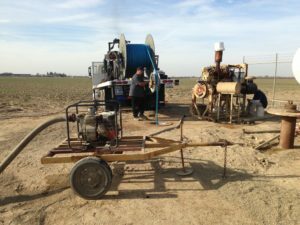 When the pump went back in the hole, results were impressive: the well went from breaking suction at 400 fpm prior to rehabilitation, to producing the desired flow rate of 2,000 fpm after the work was done – a 500% increase. 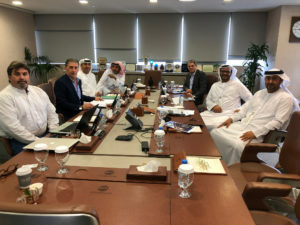 WellJet has expanded it Middle East operations, teaming up with NPS Emirates for water well development and rehabilitation. 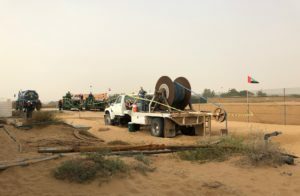 NPS has had 45 years of water well experience in UAE. We trained our new crews and adapted our processes to suit field conditions. Jetting and airlifting were successful in opening up the wells, improving output while reducing drawdown. This promises to be the first of many projects in one of the world’s most water-challenged environments! The documents and information on the Site are copyrighted materials of WellJet®. Copyright information contained on this domain may not be reproduced, distributed or copied publicly in any way, including Internet, e-mail, newsgroups, or reprinting. Any violator will be subject to the maximum fine and penalty imposed by law. Purchasers of our products, services and information are granted a license to use the information contained herein for their own personal use only. WellJet® is a Registered Trademark with the U.S. Patent and Trademark Office. US and foreign patents have been applied for and are pending. Trademarked information contained on this domain may not be reproduced, distributed or copied publicly in any way, including Internet, e-mail, newsgroups or reprinting. Any violator will be subject to the maximum fine and penalty imposed by law.